What are your annual costs? 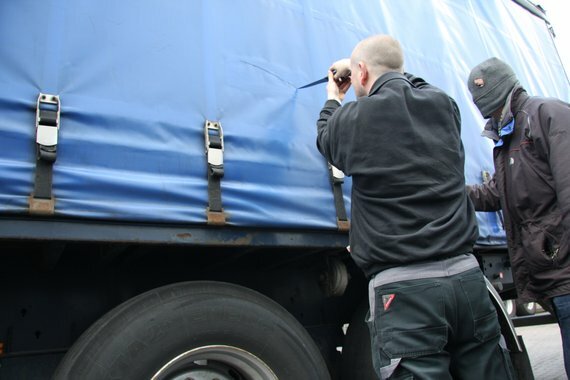 You want to prevent your containers and, in particular, your cargo being stolen at all costs. They have a high value and protecting them has the highest priority. The ideal protection is a GPS Track and Trace system. You can track and trace exactly where your cargo is with a GPS Track and Trace system. With regard to all theft in the Netherlands and Europe as a whole, the costs of losing containers and cargo are the highest of all. A GPS track and trace system is therefore a must to protect them adequately! A GPS Track and Trace system of 12Trace to protect your container and cargo. The solution for tracking, tracing and protecting your containers and cargoes because they do not have their own power supplies. Easy to install on your containers and cargo. No complicated installation. You will receive an alert when your container or cargo is outside a zone that you define (GeoFence). You can always see where your container or cargo is. Wireless, external power supply not required, easy to install. Our wireless GPS track and trace systems are ideal for protecting containers and cargoes. Their own power supply is not needed with these GPS systems You can simply position them in any object. They can, moreover, easily be transferred from one object to another if required. GPS Track and Trace systems are often used in the transport and logistics sectors. Companies that operated in the transport and logistics sectors use these solutions a lot. Our GPS Track and Trace systems are ideal for protecting, for example, flight cases, waste containers and mobile offices and houses. It is for good reason that sea containers are one of the most protected objects. Their value is huge. Sea containers must not only be tracked and traced correctly at the port site, but also when on their way to the customer. This is easy with our GPS Track and Trace systems. The GPS track and trace systems have an unprecedented long battery service life, are completed wireless and have an exceptionally robust internal power supply. You can track and trace your valuable property at least 4 years with them. These watertight and robust systems are easy to install..
Easy to place on mobile objects without installation. The GeoChaser Guard is the best solution to protect your land or sea vehicle thanks to the GeoFence function. With the GeoChaser Guard, you can configure which zone your tracked object may be located in via your online account. Once the object moves outside your defined zone you will receive an alert via SMS or email. This GPS track and trace system also has an anti-theft alarm: the system issues a warning if your vehicle is moved without the ignition. Why choose a GeoChaser Guard. Ideal for monitoring your mobile property. An alert is sent when your object moves outside your defined zone (GeoFence). Anti-theft alarm: a warning is issued if your vehicle is moved without the ignition. Suitable for journey registration thanks to the GeoMotion function. You can retrieve the current location at any required moment (GPS on demand). Live tracking of your land or sea vehicle. No software installation necessary (web based). A warning is sent if your vehicle is moved without the ignition. If your vehicle is towed or moved on to a trailer, you will be notified immediately. An audio alarm can also be sound should your vehicle be moved this way. Simply connect the Alarm Output to a horn. Configure where your objects may be with GeoFence. You determine which zone your objects may be within through your online account. You will receive an alert via SMS or email when your object is outside a zone that you have defined. Via your online account, you will also be able to track where you objects are currently located. Suitable for route registration with GeoMotion. Is your property on the move or is it right where it should be? GeoMotion is a motion detector that knows when your property is on the move and will register any activity as soon as it starts. It also registers when movement has stopped. Every movement is registered thanks to the route registration function. You can draw a virtual fence around your object with the GeoLocker Smart. What we call a GeoFence. You can configure within which distance your property may be located. If your property is outside this area, you will immediately receive an alert through SMS or email. An ideal GPS Track and Trace system to protect your property appropriately! Why choose a GeoLocker Smart. Ideal for tracking and tracing mobile objects without their own power supplies. The battery will certainly last 4000 positions (location updates), in other words, the battery is sure to last 4 years with regard to 2 positions a day. You will receive an alert when your property is outside a zone that you define (GeoFence). Wireless and easy to install. No complicated installation. You do not have to commit to a subscription or contract. 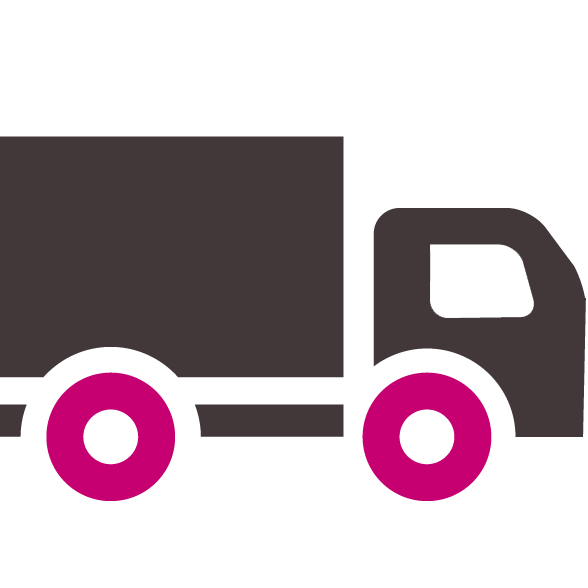 Companies operating in the transport and logistics sector use our solutions a lot. Our GPS Track and Trace systems are ideal for protecting flight cases, waste containers, mobile offices and houses. The ideal solution for rental companies. The GeoLocker Smart is ideal for rental companies because of its wireless feature. It is easy to install in any object and it is just as easily removed to be moved from one object to another. A wireless GPS track and trace system that is not dependent on a power supply. The GeoLocker uses an extremely high-capacity lithium battery. It guarantees a standby time of 10 years. The GeoLocker battery can easily be used for 4 years if the GeoLocker transmits the location twice a day under normal conditions. The GeoLocker Secure is mainly suitable for the agricultural and construction sectors. The GPS Track and Trace system must continue to work under different weather conditions and temperatures in these sectors. The heavy-duty impact-resistant and watertight housing ensures that this is possible. The GPS track and trace systems have also been developed in such a way that they can be used in different places and in heavy-duty machines. A strong GPS receiver ensures for an excellent range under all conditions! Receive an alert when your object is outside a zone that you define (GeoFence). The Geolocker Secure is the most affordable solution for tracking your valuable property without requiring a power source. The GPS tracking system is entirely wireless its functioning is not dependent on any external power source. The Geolocker Compact is an extremely easy to place device and installation is by no means complicated. The GPS system can simply be moved from one object to another. You can configure yourself within which zone your possessions may be through your online account. You will receive an alert through SMS or email when your property is outside a zone that you define. You can then see where your possessions are through your online account. Your information always available via mobil and tablet. Find, track and protection of your mobile property. Learn all about the various features of our systems and find out what they can do for you. 12Trace gebruikt uw persoonsgegevens alleen om uw contact aanvraag te behandelen. En bewaart uw gegevens niet langer dan nodig is. Informatie hierover vindt u in onze privacyverklaring. We collaborate with various different parties. Learn more about our partners and our collaborations.